Finally, it looks like the straw to break the camel's back has arrived. After overseeing the most miserable season for the Wallabies in 60 years, calls for Michael Cheika's sacking have grown so loud they may be impossible for Rugby Australia to ignore. Up until now RA boss Raelene Castle has faithfully backed the under-siege coach to lead Australia to next year's World Cup and, despite his team's obvious failings, that stance has been given tacit approval by a rugby community with no confidence in the alternatives. But after a limp loss to England at the end of a week in which Cheika mislead the media following the surprise axings of Kurtley Beale and Adam Ashley-Cooper, that sentiment looks to have turned. The bigger problem for Castle and RA's most senior administrators is that they've joined Cheika in the firing line. On Monday Cheika and the leaders who have overseen the Wallabies' mess woke to columns by two of Australian rugby's most senior journalists calling for the coach's head and some serious scrutiny for Castle. The Australian's Wayne Smith had previously stayed off what he describes as the 'Cheika must go bandwagon' but has now jumped into the driver's seat, writing: "The time for plain speaking has arrived. 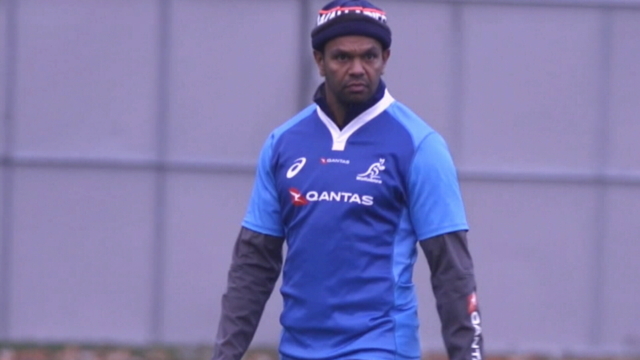 Michael Cheika must go as Wallabies coach and immediately." Arguing that since comprehensively losing the Bledisloe Cup earlier in the year, the mortality of the current All Blacks side, which has been beaten by South Africa and Ireland this year, had proven how bad the Wallabies were, Smith continued: "Had Cheika rediscovered the art of coaching in the interim, the story now might be markedly different. "But in fact he has become progressively worse and the events of recent days have laid bare how bankrupt of ideas he and his fellow coaches have become. "The critical moment was when he told me that he had considered bringing Kurtley Beale into the reserves after David Pocock was ruled out of the Test on Friday morning — this, despite having already suspended him from the Test side after he and Adam Ashley-Cooper had broken team protocols by inviting women back to their hotel room. "In the end, sanity prevailed. But the reasoning behind reinstating Beale — who, by the by, has been hopelessly out of form anyway, regardless of his off-field activities — exposed a mind that was utterly muddled." Smith's damning words are backed by another senior figure in Australia's rugby press corp, with ESPN.com.au's Greg Growden's piece criticising the culture of a team that has lost its way, quoting the "obvious line that the fish rots from the head". "Something is inherently wrong with the Wallabies team culture when it takes its team leadership group ten days, repeat ten days, to tell Cheika they were concerned with what Ashley-Cooper and Beale had got up to on the night of the loss to Wales in Cardiff," wrote Growden. "Then again it is a strange team leadership group when three of the five members - Nick Phipps, Allan Alaalatoa and Samu Kerevi - are far from regular Test representatives. 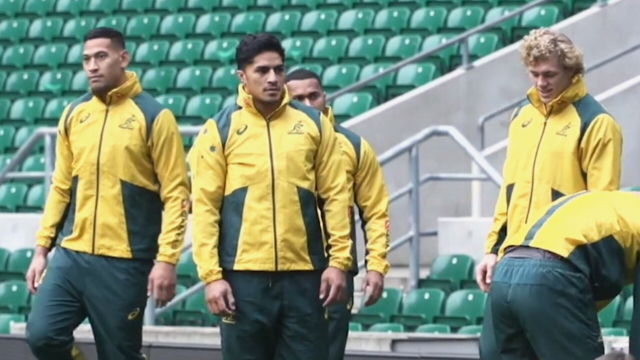 David Pocock and Michael Hooper, the other two in the group, are leaders, but the other three? Hardly." No team can compete at the top level with a leadership vacuum, but according to Growden that's where the problems begin, not where they end. From a set piece that is wildly inaccurate to players being picked out of position and an "embarrassing" defensive line, the Wallabies are a side that "no one respects" anymore, he writes. "This is a scrambling, forever looking-over-its-shoulder team that has lost all of its confidence and requires far more than a match day rev-up from an over-emotional coach. Good, constructive tactics are desperately required," Growden writes, before concluding his piece with an even greater concern - that the administration is out of its depth and in no shape to put the Wallabies back on a path to success. "The greater concern is that those in charge at Rugby Australia are performing more like lost tadpoles about to transform into fat, motionless toads," he writes. "There will be the obligatory tour review, and RA will undoubtedly find one easy-to-get-rid-of minor scapegoat - so that for a change it looks like they're actually doing something. It's not hard to guess who will go. Mere window dressing though. "But sadly due to RA being in its own words 'financially challenged', the real culprits in the Wallabies management who have choreographed the demise of a once magnificent national team will remain. "And that is blatantly wrong."